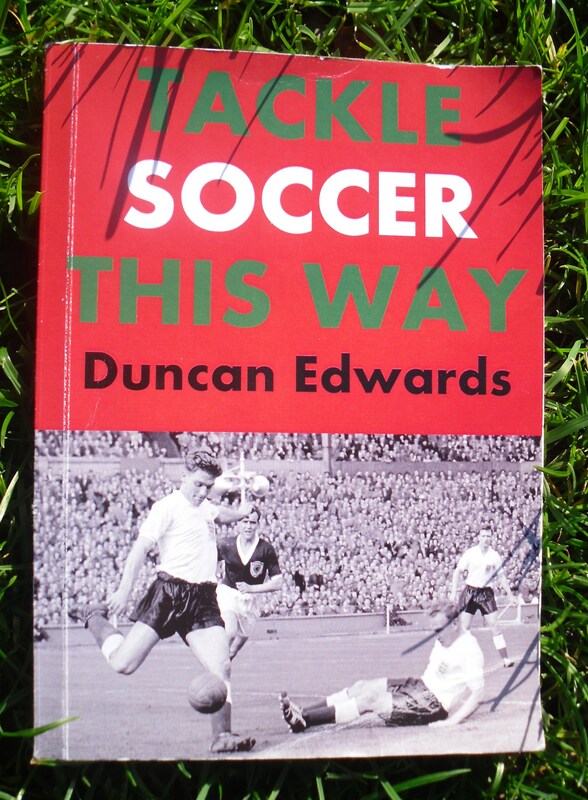 Tackle Soccer This Way is a beginner's guide to playing football, written by Dudley's England and Manchester United legend Duncan Edwards in 1957-58. FourFourTwo Magazine gave the book 4 stars out of 5 under the strapline 'Learning from the best'. The Official Manchester United Magazine describe it as 'a must-have read'. Tackle Soccer This Way is a book of its time, written without the need of a ghostwriter, or even an editor. The book draws on Edwards's experience being coached through the youth and first teams at England and Manchester United. Filled with practical tips and encouraging advice, it remains an excellent guide for youngsters learning the game today. Edwards peppers the book with insights into his life, and fascinating glimpses of the styles of the noteworthy players of the time – always with the aim of instructing the readers in how to conduct themselves well on the pitch. It was written on the cusp of the modern era of football, just after lightweight boots first became available – but before heavy laced balls were fazed out. Tackle Soccer This Way captures the spirit of a sporting hero from a time before money and celebrity distanced footballers from the everyday preoccupations of their fans. It reads now as both a rediscovered historical document and a still-relevant instruction manual.